A short walk from both Kita and Umeda, Utsubo-koen Park is a valuable bit of green space in the heart of Osaka. 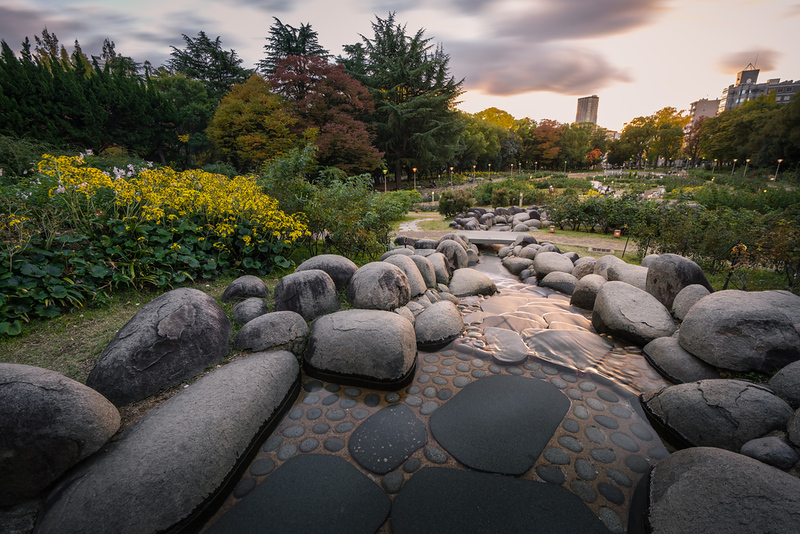 For details on other parks in Osaka, check out our Osaka’s Best Green Spaces article. 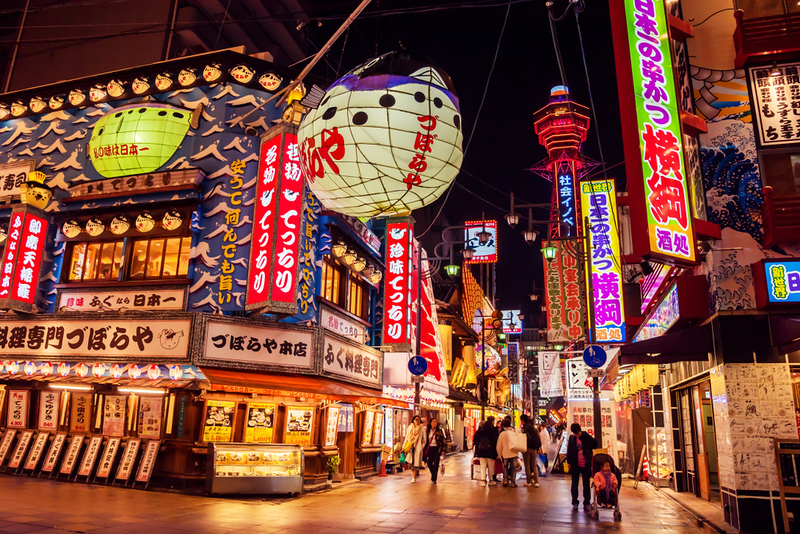 Shinsekai is one of Osaka’s most photographed areas. It’s a retro entertainment district down in Tennoji. 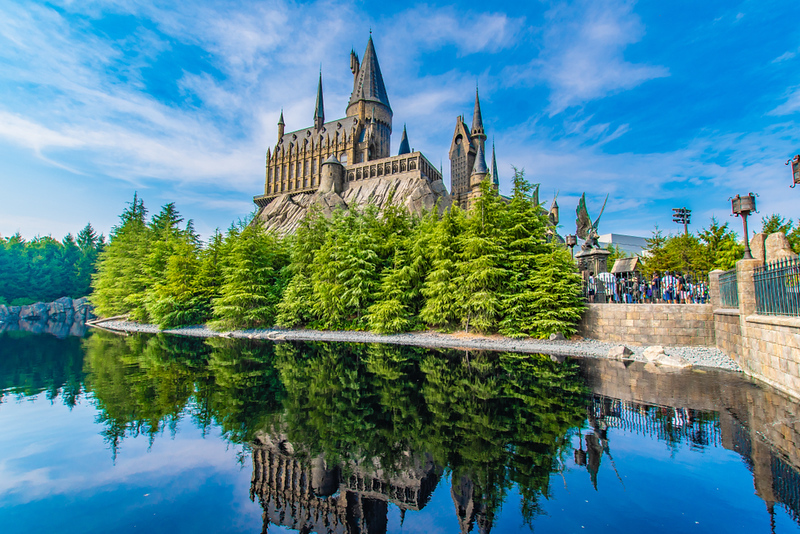 For all the details, check out our Shinsekai article. 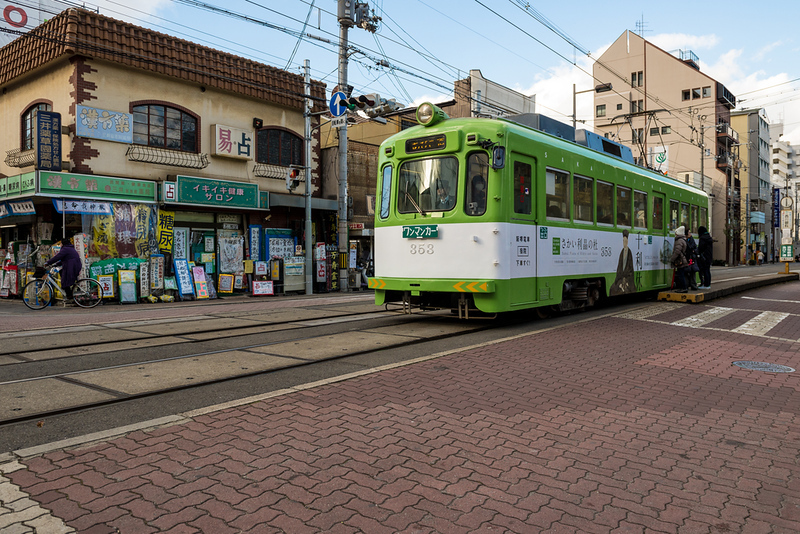 Osaka is one of the few cities in Japan with a working streetcar line. 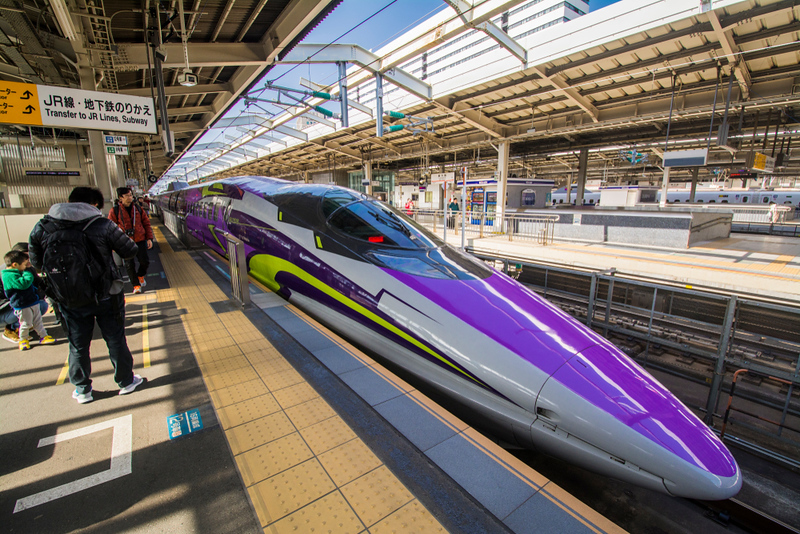 For all the details, check out our Osaka’s Streetcars article. 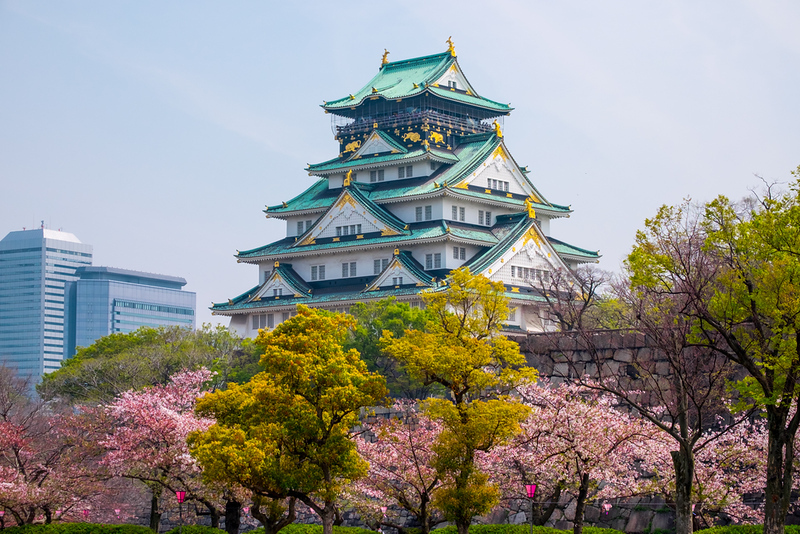 Osaka Castle is beautiful in any season, but it’s particularly striking when the cherry blossoms bloom in early April. 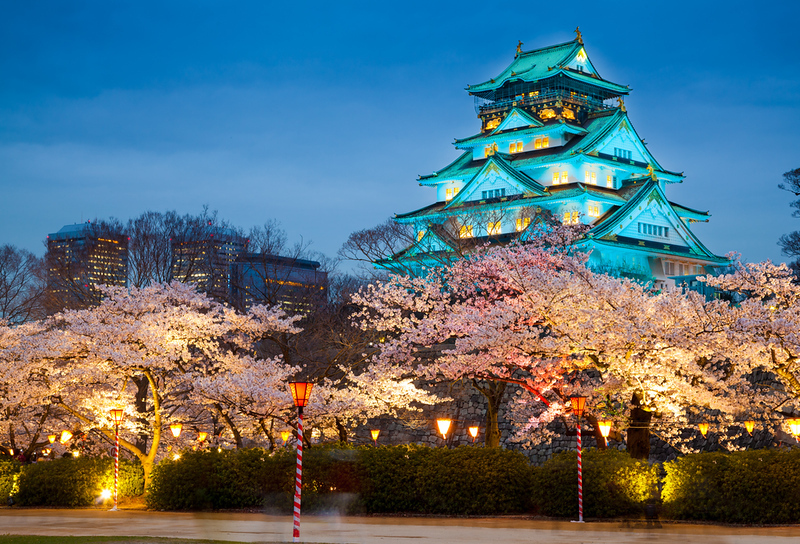 For all details, check out our Osaka Cherry Blossom Guide. Sakuranomiya Park, on the banks of the Yodo-gawa River, is one of the best places to enjoy the cherry blossoms in Osaka. 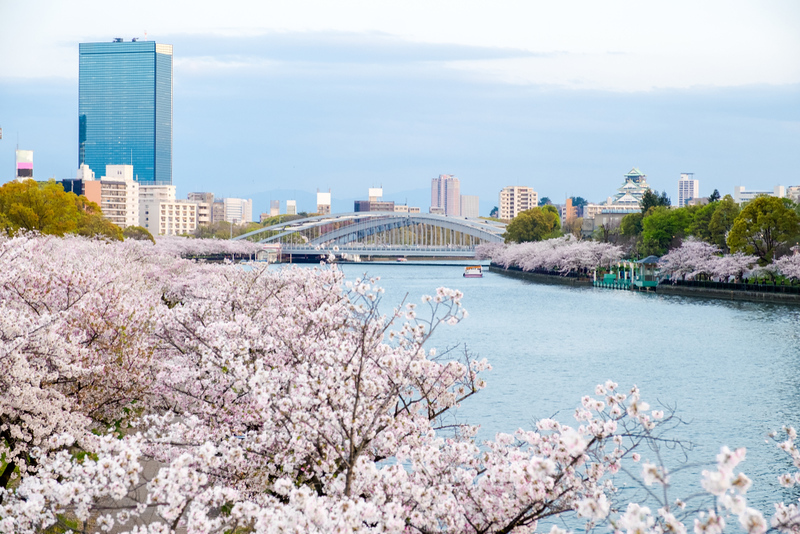 For all details, check out our Osaka Cherry Blossom Guide. 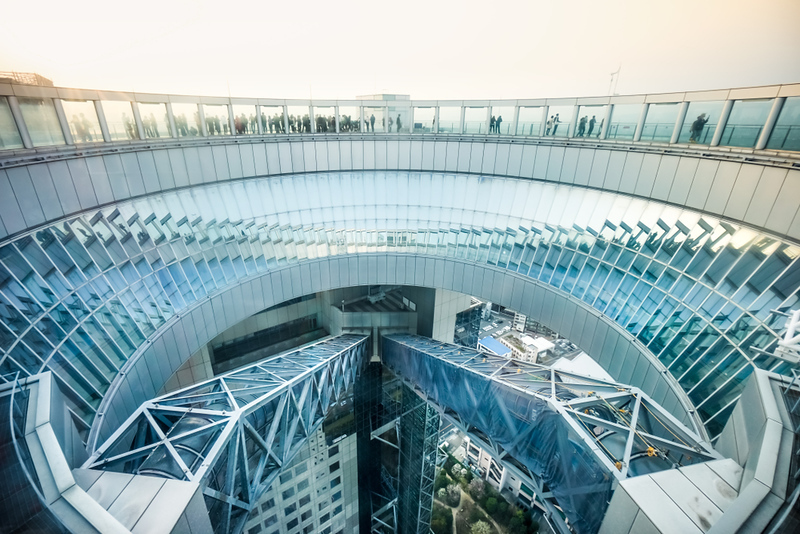 The newly refurbished JR Osaka Station building is a great addition to the Kita District. There are hundreds of restaurants packed into this small area.